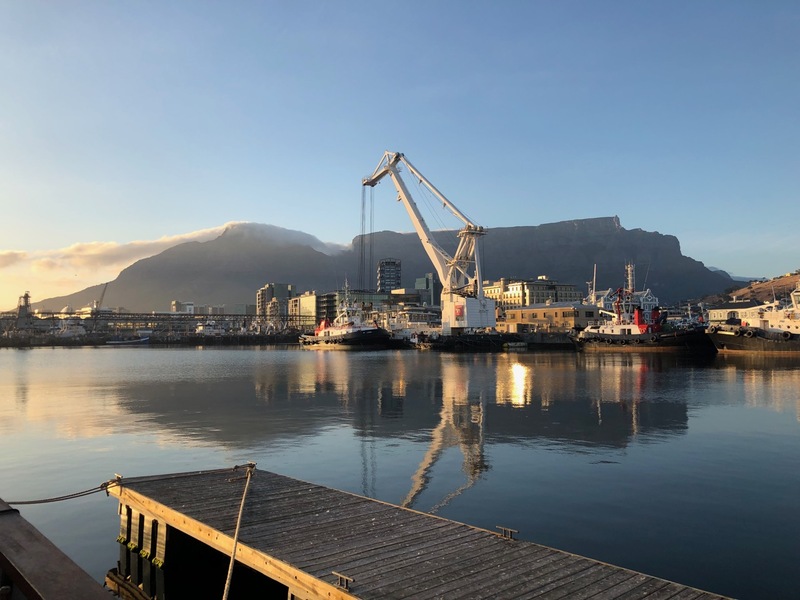 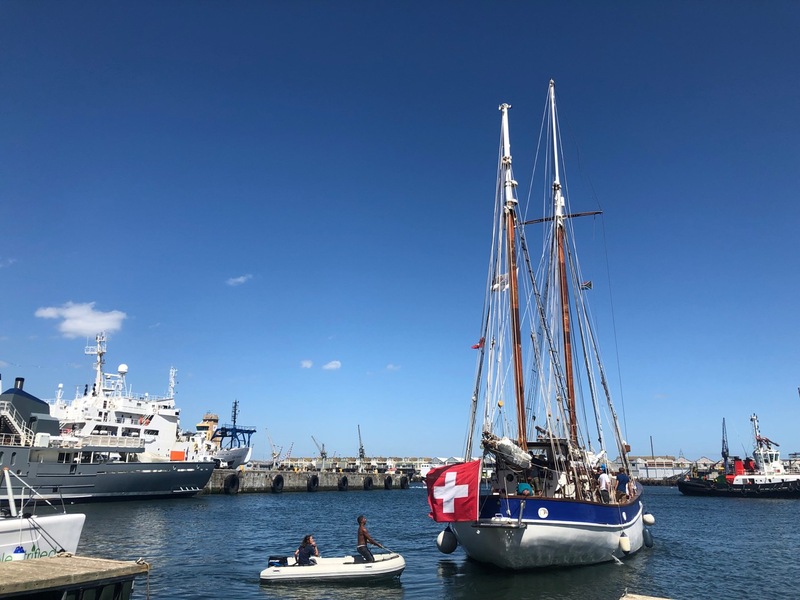 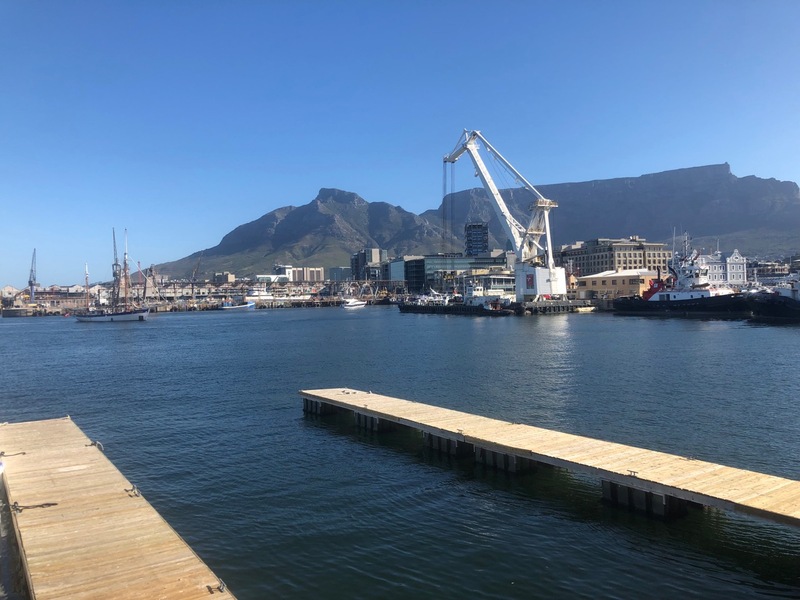 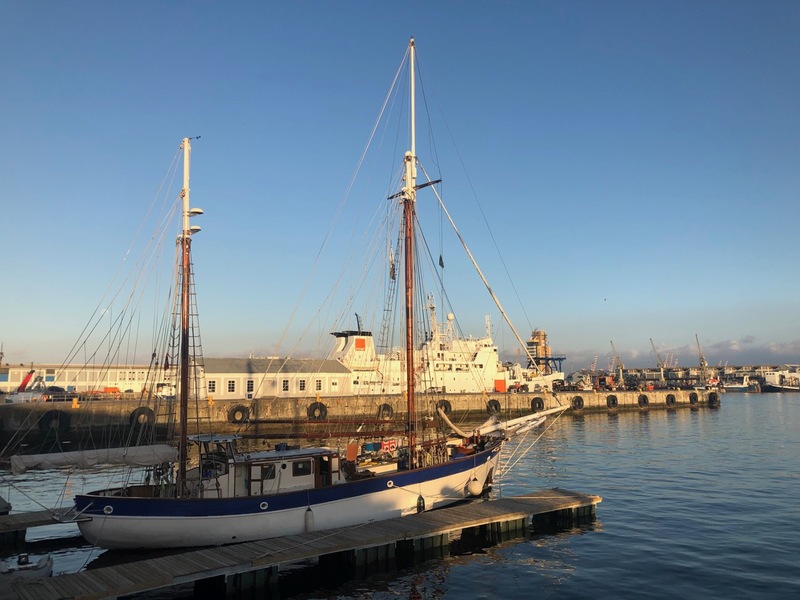 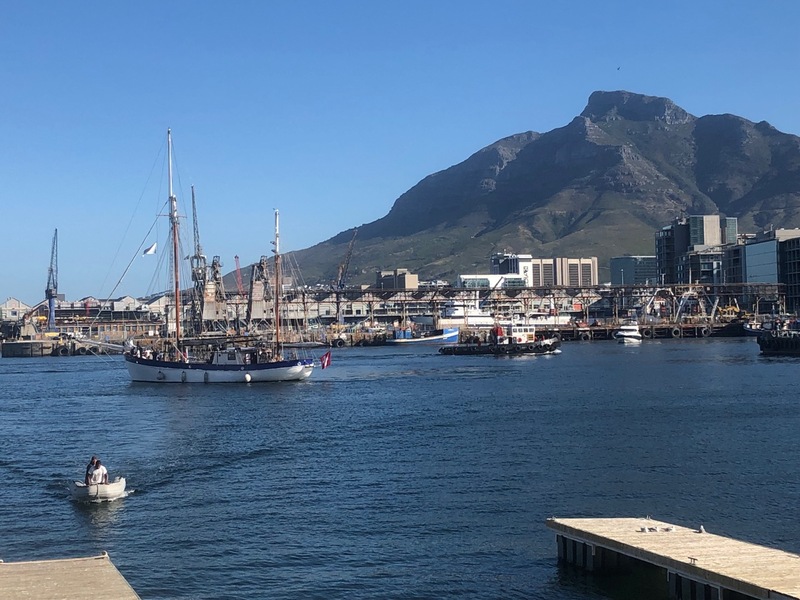 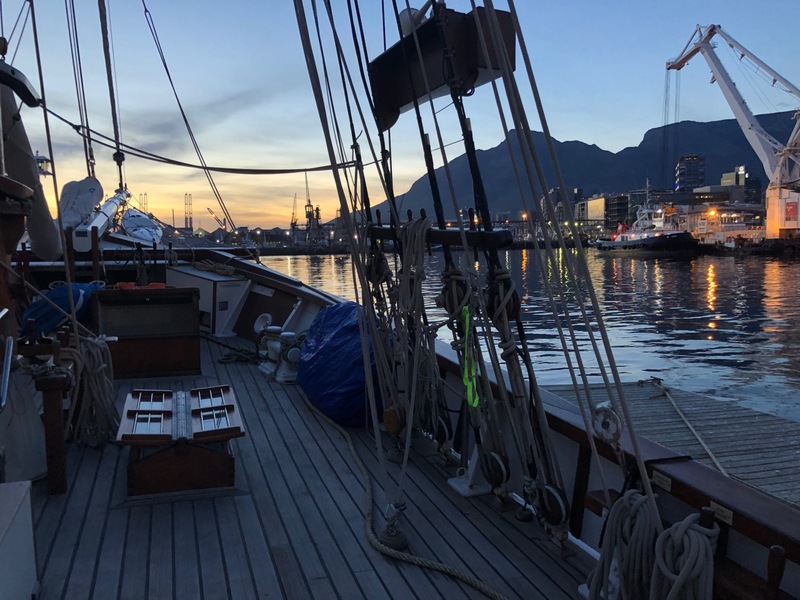 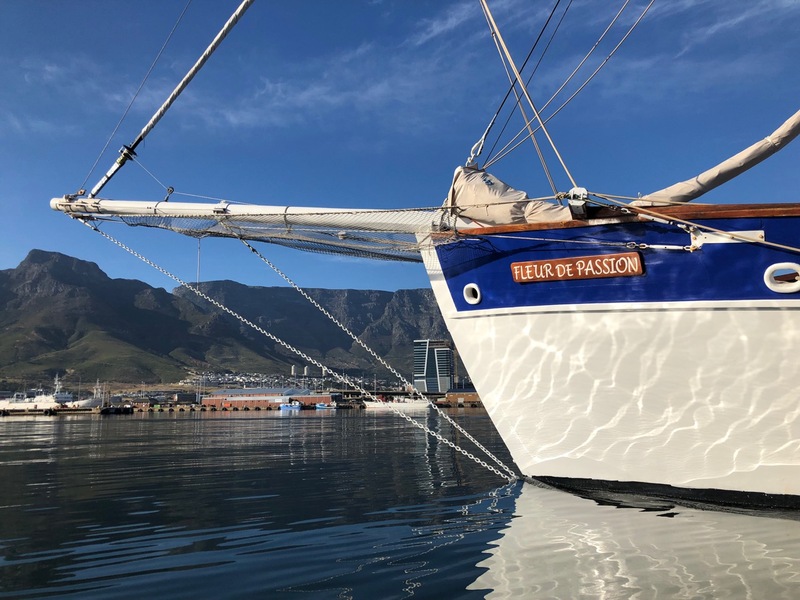 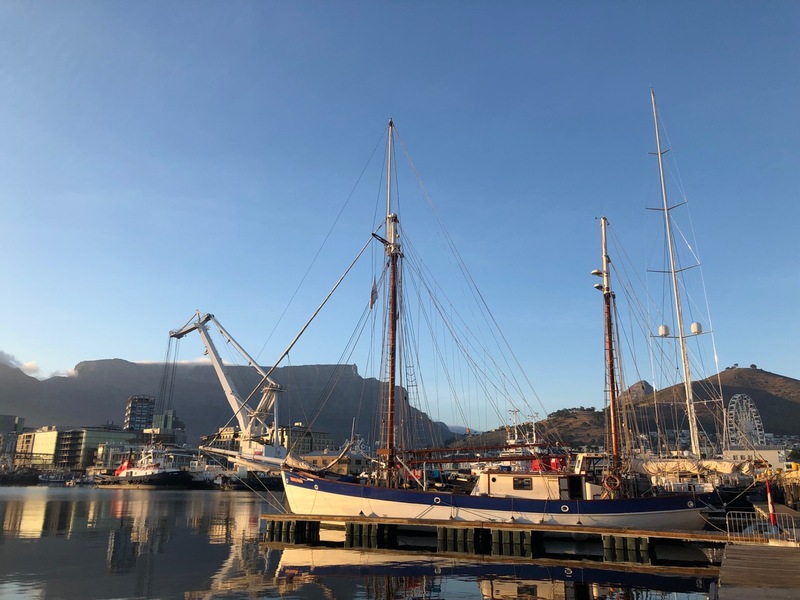 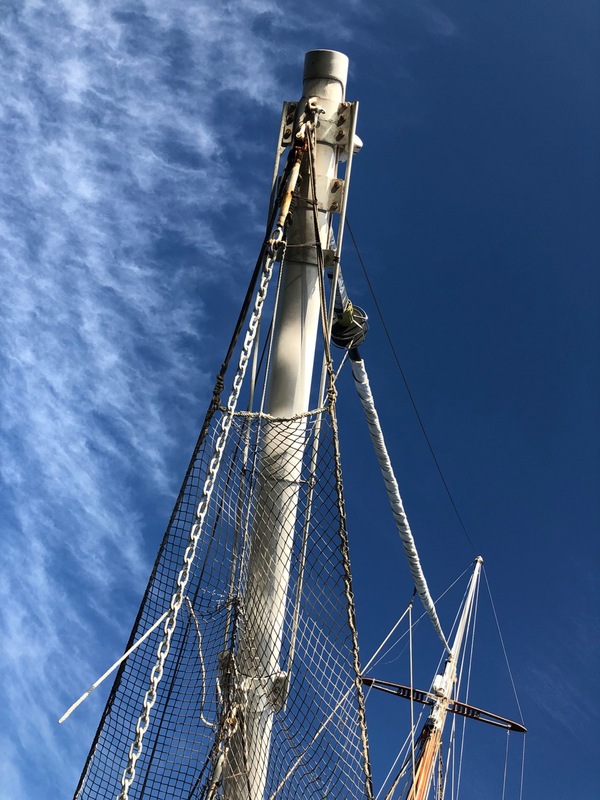 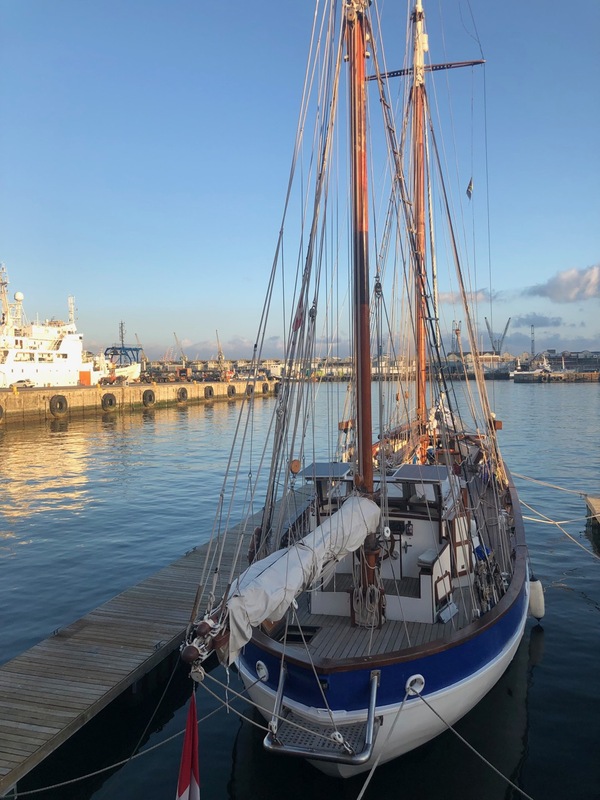 Change of timing for The Ocean Mapping Expedition: Since December 20, 2018, Fleur de Passion has been moored at the Quay 6 of Victoria & Alfred Waterfront, Cape Town's tourist and port district, some 10 days ahead of schedule. 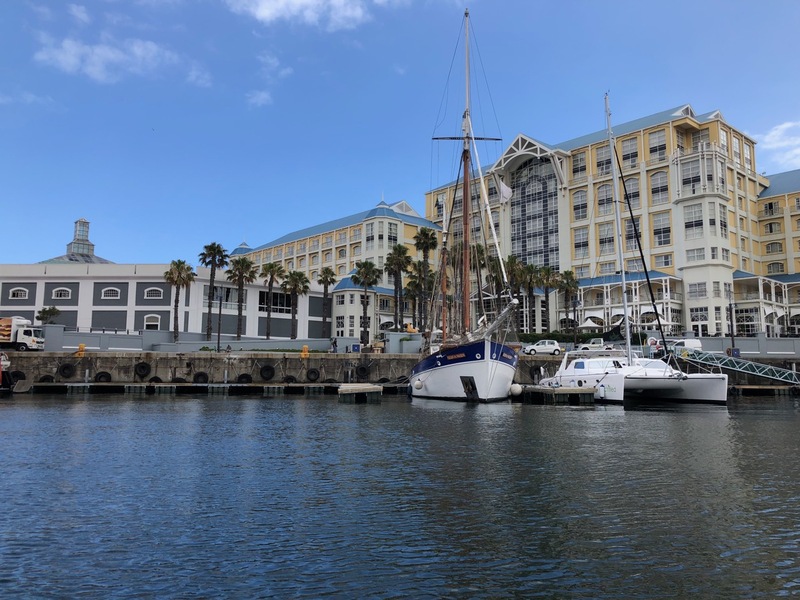 The reason: to avoid being forced by a weather and winds that would have made impossible the delicate exit of the Royal Cape Yacht Club on the date initially planned, January 2, knowing that the boat was imperatively to be at Waterfront for January 3, date of the beginning of public events organized as part of the stopover. 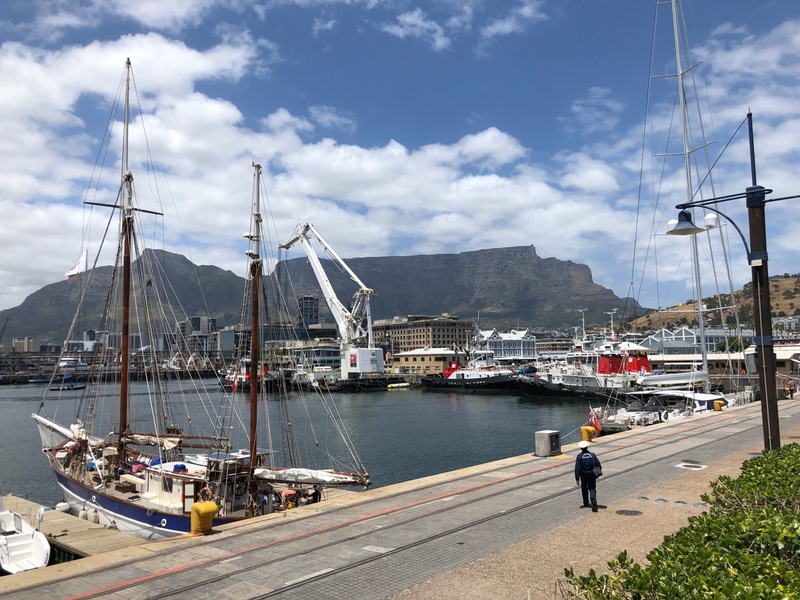 Right in front of the imposing Table Bay Hotel and with this spectacular Table Mountain by its starboard, with a port view of Jetty 2 and its charming Luggage Hall which will soon host the exhibition "Our Spice Islands" », Fleur de Passion and its crew are thus preparing for the sequence that will open soon, dedicated to this other mission of the expedition: to raise awareness of the issues of sustainable development. 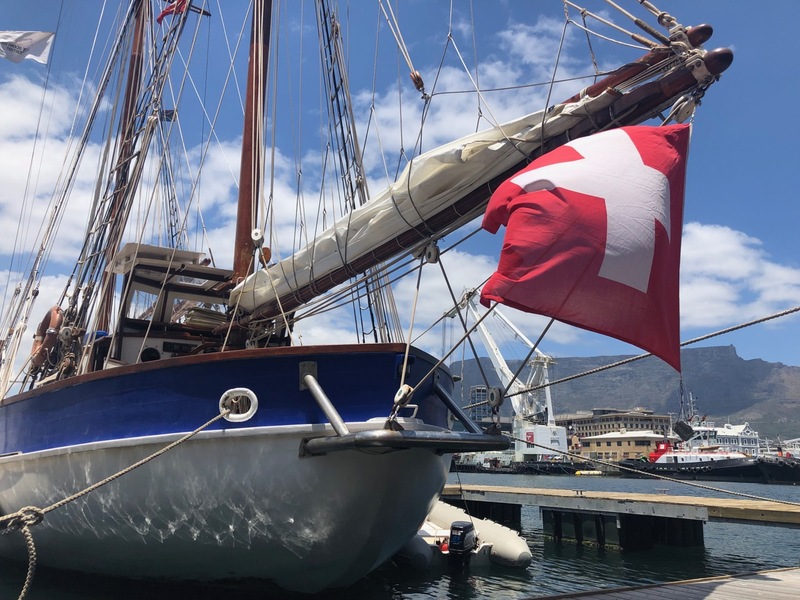 To have a look at the January program of events. 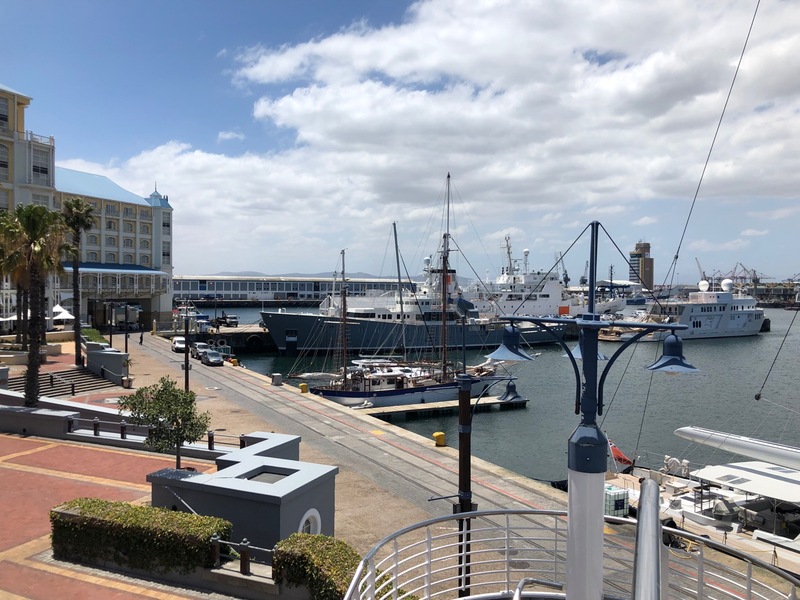 clich here.